Jim Connors of One Agency Bestwick found us a perfect house before it even came on the market! We found the team of Mitchell, Jim & Ash to be a bright, energetic capable young team with fresh ideas. Always on time with appointments, utilising the most modern techniques to produce high quality presentation brochures & videos. We liked the way we were kept informed each week with the results of our OPEN HOUSE events and how we compared with the market as a whole. 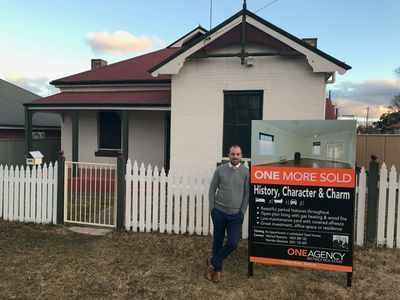 In our case we had a critical date to complete the sale and it was here we appreciated the skills of Mitchell stepping "outside the square" to secure a buyer in a slowing market. The result was total satisfaction for both seller & buyer. They are a great company to deal with, highly recommended. 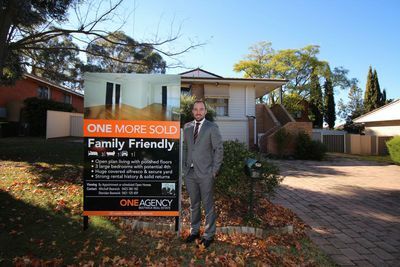 Mitchell and the team at One Agency Bestwick Real Estate made buying out first home a wonderful and exciting experience. Mitchell & Sheridan were with us every step of the way and were on hand to answer any questions we had. They went above and beyond and we cannot thank or recommend them enough. Thank you so much One Agency Bestwick for helping us buy our dream home! 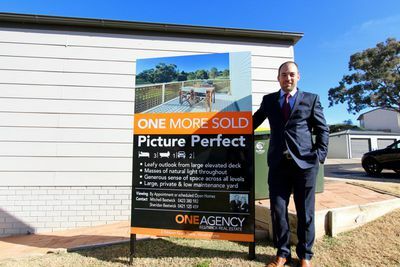 After being with other Real Estate Agency's we found One Agency Bestwick Real Estate to be highly professional, our property sold in 21 days. Communication skills were of a very high standard which we found very important as Mitchell & Jim kept us updated at all times. Nothing was of too much trouble. Property was professionally presented. Would highly recommend One Agency Bestwick Real Estate to any seller. 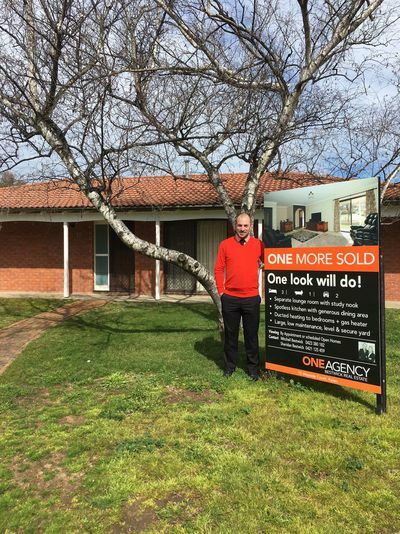 Mitch and his team at One Agency did a fantastic job at selling our property from our very first meeting. We felt like we were in safe professional hands, Mitch kept us in the loop each & every step and that resulted in a very smooth and fast process. Day one on the market we were issued an offer for full asking price and early settlement which is exactly what we wanted. Thank you again Mitch and the team at One Agency. Will never use another agency once we experienced your fantastic service. I would thoroughly recommend One Agency if you wish to sell your property. The team are very professional and listened to your requests. They came to my house and discussed selling price and provided useful feedback regarding realistic pricing & house presentation. They did an excellent job of marketing my property and the photos and video were exceptional. Throughout the whole experience the team communicated with me and kept me up to date on potential buyers. 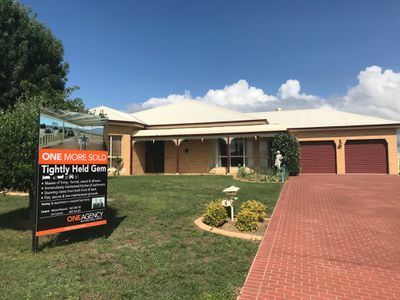 The result was that their marketing approach produced a great outcome and my property was sold quickly and at the right price. Due in a large part to the One Agency Bestwick team our property was under offer for the full asking price, in just 4 days from hitting the market! One Agency Bestwick was professional in all aspects of our sale & had successfully priced our property to the market value, ensuring a quick sale. Their marketing strategy & photographs/video of the property was excellent as was the professionalism of the whole team. We'd thoroughly recommend One Agency Bestwick to friends & family when selling their property. I found the whole process very smooth & professional. Mitchell was helpful, maintained good contact during the negotiation phase & willing to go the extra distance to accomodate my wishes. Overall a positive experience & I would use One Agency Bestwick Real Estate again. Our experience working with One Agency Bestwick Real Estate was extremely positive. Your agent Jim Connors was very loyal to the vendors and very honest with us. We being a mature aged couple were shown respect even if we were a pain in the neck at times. Each time we asked Jim either by phone, text or email regarding little things we weren't sure about, even questions relating to council, water, gas, electricity and landline availability etc Jim replied immediately which we considered was extremely helpful and very professional - nothing appeared to be a trouble for him and made our move less stressful. Jim's friendly approach, politeness & punctuality to every meeting and contact made was appreciated by us very much. We would not hesitate in recommending your agency to anyone. I would recommend One Agency to fiends thinking of selling property. I was kept well informed throughout the process. I was happy with the price. Looking for & purchasing our new home went really well with One Agency Bestwick Real Estate. Jim was our agent & he always showed a genuine interest & made us feel like we weren't just another client. We will highly recommend One Agency Bestwick in the future & will return when the time comes to move on from here. It was a pleasure dealing with the staff of One Agency Bestwick, to purchase our new house. No pressure, nothing ever a problem, would definitely recommend. I would like to acknowledge your professionalism and prompt attention to detail during inspection and subsequent purchase of our unit. Blake & myself could not be happier with the service we have been provided with throughout the entire purchase of our first home. As soon as we entered the open house, both Mitch & Jim were professional & friendly & answered all of our questions. Mitch went above & beyond to help us buy the house & provided service we have never experienced or expected from a real estate. We cannot thank the team enough for helping us achieve the dream of buying a home. We had decided to sell our home at Eglinton as we needed more room for our horses. We listed with One Agency and within 3 days they had an offer and our home was sold and our new house was now a reality. 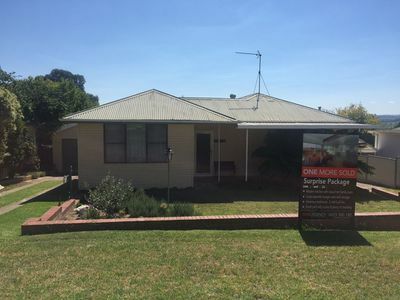 We would have no hesitation in recommending One Agency Bathurst. They were very understanding, professional and willing to help in any way possible. We can't thank Mitchell & Sheridan enough for making our dream come true. My experience during the sale of the property was excellent! This was my mother's property and it presented a few problems with the accumulation of many possessions. Mitchell always worked with us to overcome any problems. Calls were always answered or promptly returned. Appointments were always kept. I would have no hesitation in recommending One Agency to my friends or colleagues. 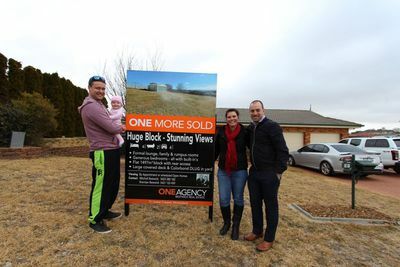 In fact we were referred to One Agency by our daughter who also had a great sales experience when they sold their property. Good luck with the business in the future. I'm very happy with the service offered by your agency - also in particular Jim, who was approachable, helpful, accomodating and easy to deal with. I'd recommend One Agency Bestwick readily to friends and colleagues. Thanks for everything. Mitch and Jim were fantastic to work with - they were professional, genuine and motivated. 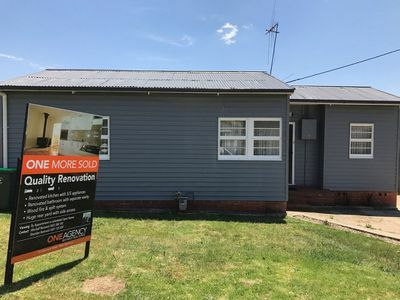 I am extremely happy with the result Jim got for the property and the service provided by One Agency throughout the process. 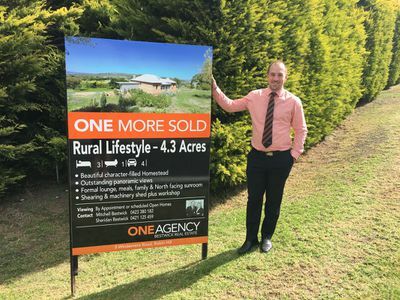 I highly recommend Mitch and Jim at One Agency Bathurst. Whether you're buying or selling, they will get the job done and will make you laugh along the way! 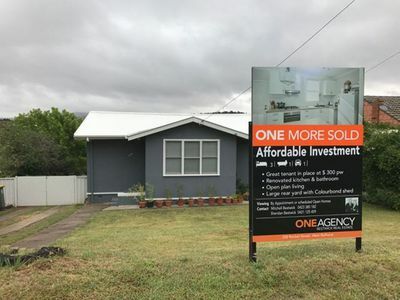 Thank you to the team at One Agency Bestwick for the purchase of our investment property. Your professionalism and knowledge made the purchase stress free and we are thankful for that. It was a pleasure dealing with you. 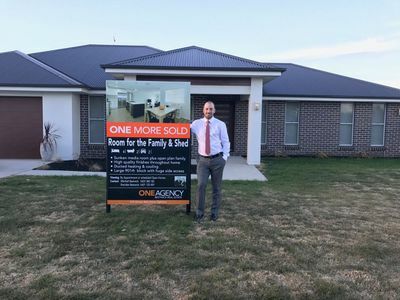 Thank you One Agency Bestwick Real Estate for making our home purchase such an easy experience. Mitchell and Sheridan Bestwick were always available and courteous. Their communication was excellent, phone calls were always answered or returned promptly and we were kept updated on the progress of our purchase. Both Toni and I greatly appreciate all your effort and above all we thank you for being so genuine. 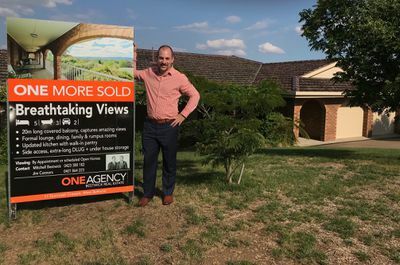 Mitchell and the team at One Agency Bestwick Real Estate went above and beyond to secure the purchase of our Llanarth property. At all times they were courteous, understanding and prompt with communication, including post purchase follow up. I highly recommend their services to anyone who is looking to buy, sell or lease property. I cannot thank Mitchell enough for finding my dream home. I would totally recommend Mitchell & One Agency Bestwick Real Estate whether buying or selling as he certainly goes above & beyond to help. 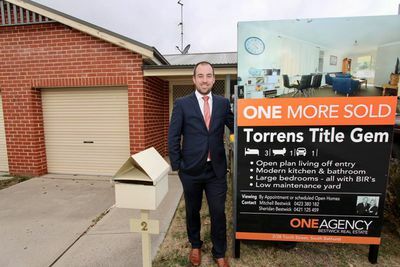 My home loan took longer than normal causing a lot of stress & doubt for myself and the vendor, however Mitchell was always available when needed and always was very supportive, reassuring and very professional in keeping both parties calm and hopeful for the sale. The sale of our property had been a very stressful experience. In three years, we dealt with four different agents, a substantial drop in price and three failed sales. We were very happy buying a unit from One Agency. They were always pleasant, polite and extremely obliging. Every aspect of the sale went smoothly. Very professional in all aspects. We found One Agency very professional, helped us with all our questions. We had no problem with the purchase and settlement. We would use One Agency again. Mitchell and the team were amazing, and wonderful to work with. We had our house with a "rural expert" for 3 months with minimal views. 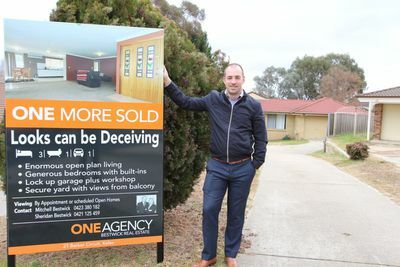 Mitchell does not rely on his name to get purchases to his agency, he does whatever he can to get his agency, and the properties he has for sale out into the areas so people can see what is out there. First open house he had more through our property than previous agent. 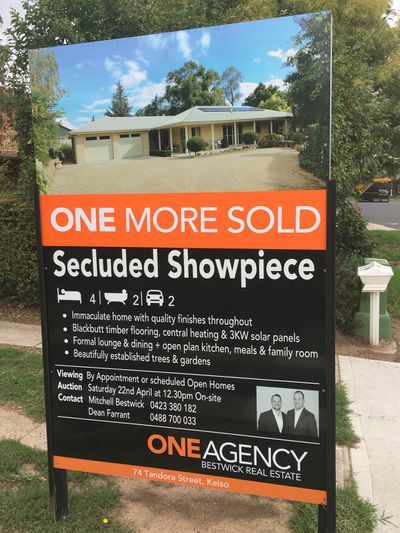 One Agency worked hard marketing our property to ensure we had a pleasurable experience selling our home. Mitch is really down to earth and straight talking. He made purchasing our property an easy experience. I was particularly impressed with the speed with how he went about chasing things up for me: so efficient. It made me feel confidant knowing that if Mitch said he would do something it would get done. 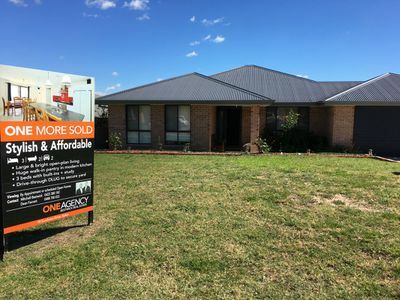 Mitchell and Sheridan were great throughout the whole buying process. They were professional and friendly and Mitchell kept us informed the whole way through. We would highly recommend using One Agency Bestwick Real Estate. 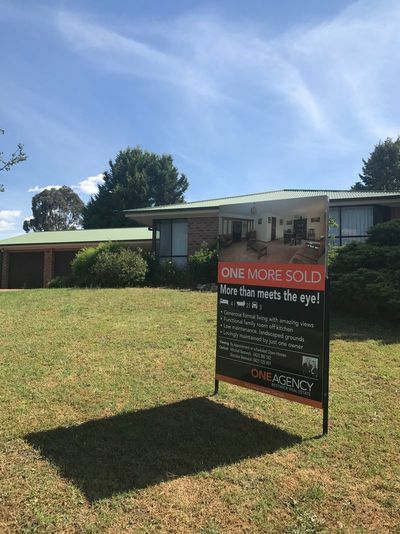 Within days of listing our mum's home for sale with one Agency Bestwick Real Estate, we received an offer that was accepted prior to the property hitting the market. 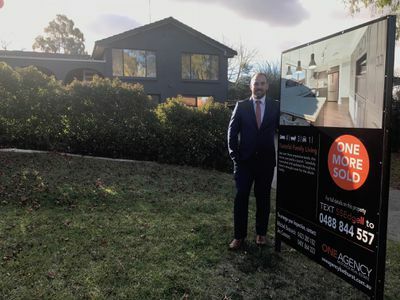 From the first contact with Mitchell and his outstanding team they were respectful, trustworthy, totally considerate and professional at all times. They made what was a difficult and stressful time for our family all that much easier. We cannot thank them enough for achieving such an outstanding result. I would highly recommend One Agency Bestwick Real Estate to anyone looking to buy or sell property. They are an exceptional team of young professionals. 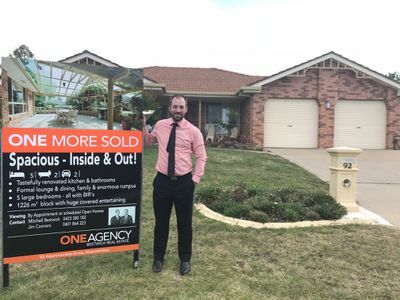 Thank you Mitchell for your professionalism and expert guidance during the sale of mum's home. We appreciated your updates, and the ease with which it all happened. We were very happy to have you as the sale agent, and were very comfortable to trust your judgement regarding the valuation of the property and the realistic outcome. Thanks again to you and Sheridan - we'll be back! 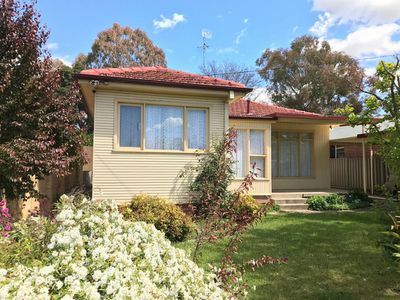 Thank you both for your professional and curious attention to the sale of my house in Perthville. As this is the 2nd property you have sold for me in the last few years, I would certainly call on you again should I need to sell. I would recommend your agency to anyone thinking of selling or buying a property. Both Mitchell and Jim were professional, helpful and a pleasure to deal with. My house sold with a minimum of fuss and stress and I believe that was due to the way Mitchell and Jim conducted themselves. I would not hesitate to recommend them to anyone looking to buy or sell. Thanks Mitch. The process was friendly, relaxed, professional & well managed from beginning to end. It was also nice & efficient. More than happy to recommend your services. 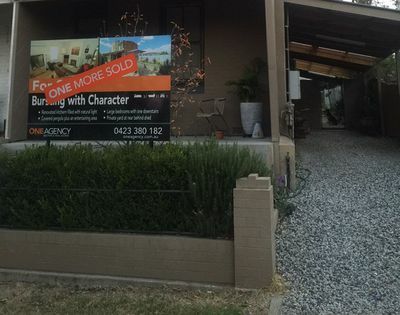 From the outset, with Mitchell Bestwick making possible an out of hours inspection of our new home, through to ongoing support and finalisation of our purchase by the friendly Jim Connors, as well as great support by Sheridan Bestwick, we have been thoroughly pleased by the entire process. Thank you so much - a great team. 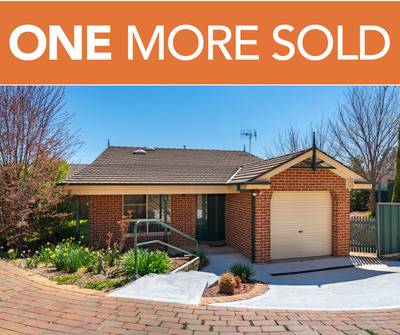 Thank you all for making the selling of mum's house so easy. I appreciate your kindness and help throughout the process. You went above and beyond with your customer service and I highly recommend that anyone selling their property to use One Agency Bestwick Real Estate. Mitch helped us to have a smooth transition into the market as first time home buyers. His approach to us as potential clients from the first time we contacted him set him apart from numerous other agents we had dealt with. We have already suggested Mitch to numerous friends and family for any property needs. We appreciate all of your help and guidance through the whole process. Best of luck with the business, Mitch, Sheridan & Jim. 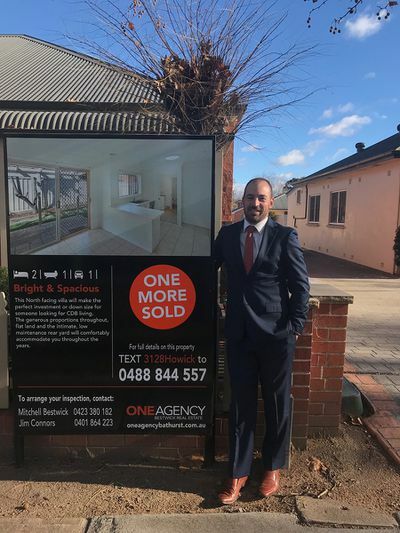 We approached Mitchell Bestwick from One Agency Bathurst to discuss the sale of our home. Without any hesitation, Mitchell called in to visit us at a time convenient for us. Mitchell was very informative and impressed us with his marketing techniques and sale package. Throughout the sale process, Mitchell & Sheridan continued with their professionalism and responsiveness which resulted in a very speedy and trouble-free sale. We are happy to recommend Mitchell & Sheridan to anyone wishing to sell their home. 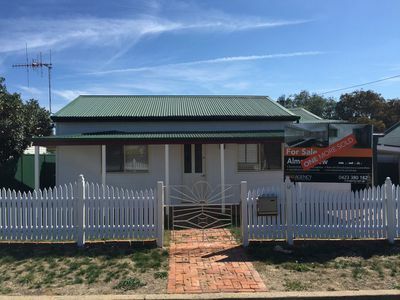 We are very happy with the professional service provided by One Agency Bathurst. 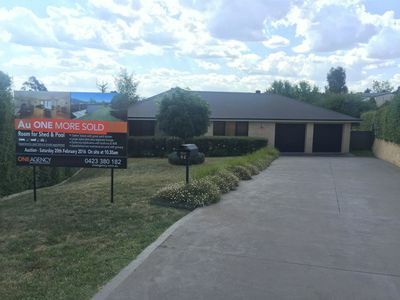 This property was sold in around 1 week from listing at a price that was in the upper range of what we expected. 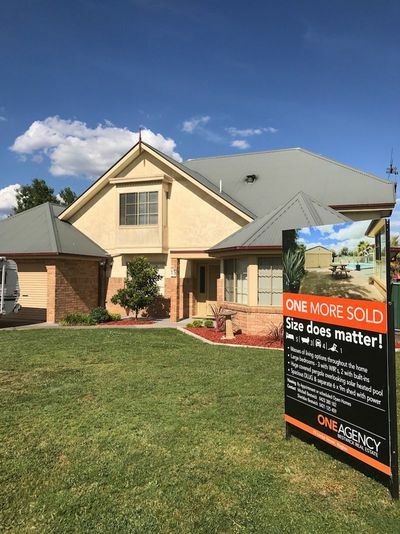 Mitchell & the team at One Agency saw the potential and qualities of our property that attracted us to the property originally. The property was marketed cleverly to emphasise it's charm and character. We would confidently recommend One Agency Bestwick Real Estate to any prospective sellers. 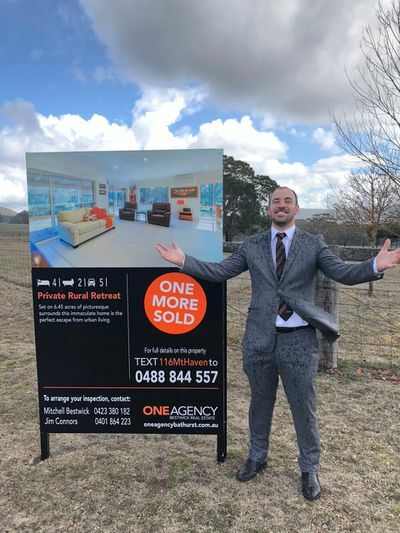 The team at One Agency Bestwick Real Estate are the ones to go to if buying or selling a property. Their professionalism is a cut above the rest. Thank you for making this purchase so smooth, you were helpful every step of the way, we enjoyed it! Excellent work Mitchell!!! It gives us great pleasure in giving you a testimonial. Both my wife and I have been very impressed in the way you conducted the sale process with us, the Vendors, and the Purchaser's. 100% balanced approach. We would not hesitate to recommend One Agency Bestwick Real Estate as an Exclusive Contract Arrangement. Thanking you and your team. Mitch and the team made the process of selling our first home easy and stress free. They made the experience enjoyable and got us top dollar. 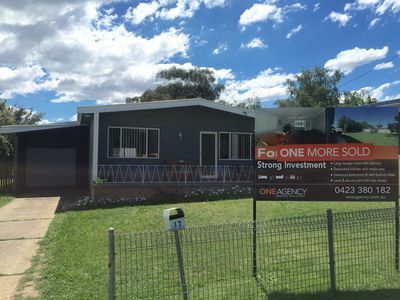 Our property went online on a Monday and we had offer accepted before our first open home took place. The team were professional from start to finish, nothing was a hassle. We were kept updated with regular calls from Mitch throughout the process. One Agency Bestwick Real Estate will be the first team we contact for our future real estate needs. 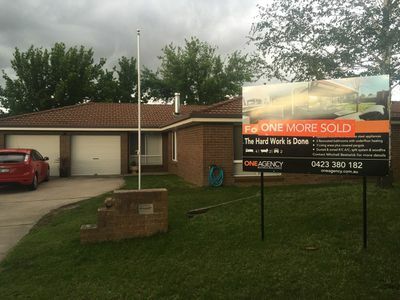 I was very happy with the effort & professionalism that One Agency showed in the sale process. I would not hesitate to use them again. I won't hesitate in recommending One Agency Bestwick. It was great dealing with One Agency. Mitchell was very professional and handled all my queries in a timely manner. 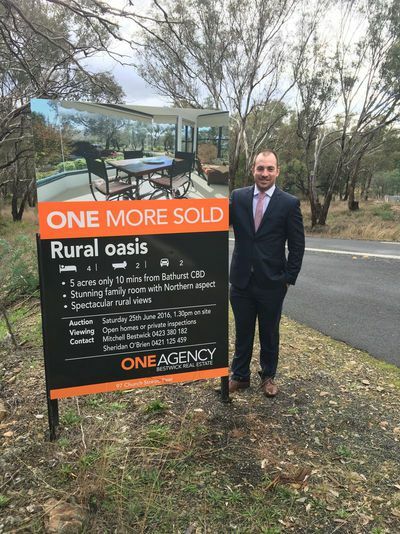 Strongly recommend One Agency Bathurst. Mitchell has a very friendly and approachable demeanour and comes across as an honest, tells it how it is, type of person. Throughout the entire property transaction I found Mitchell to be prompt, efficient and professional. 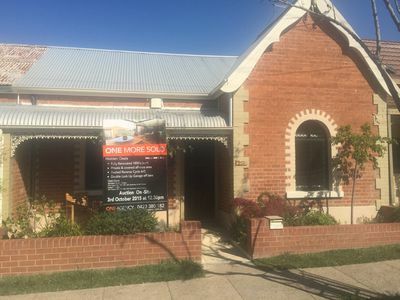 I would not hesitate to refer One Agency Bestwick Real Estate to anyone seeking to purchase a property in the Bathurst area. 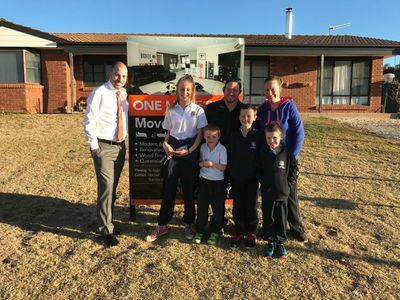 We would highly recommend Mitchell and his team at One Agency. Our purchase went through quickly with no problems or hold ups. We found the company to be fair and efficient and an absolute pleasure to work with. P.S. Many thanks for the generous gift voucher!! Fantastic customer service! We found Mitchell very professional and thorough. A relatively short listing period with an end result of the maximum sale price. We were pleased with the outcome received and would not hesitate to recommend One Agency to friends. I found dealing with Mitchell Bestwick of One Agency Bestwick Real Estate a stress free experience in purchasing our new property. He co-operated with me in the sale/purchase of the property and acted in a very professional way. I have no problem in recommending One Agency Bestwick Real Estate in any transfer, sale or purchase of property. We had the absolute pleasure of dealing with Mitchell and Sheridan during the purchase of our home this year. As agents, we could not have asked for better service. They were available to answer all our questions, gave us access to the property at times that suited us and talked us through every step of the process with patience and confidence. We can't speak highly enough of the way Mitchell steered us through it all, and are beyond thrilled with our new home. 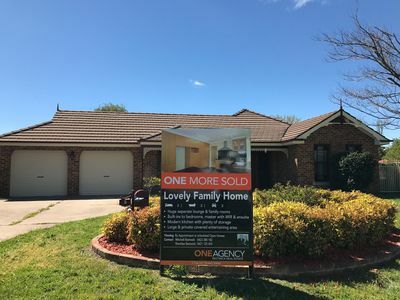 One Agency Bestwick Real Estate gave us a great experience as buyers and we won't hesitate to use them when the time comes to sell! Thanks very much for your help Mitchell - great company culture, excellent personal customer service and professional approach. The sales brochure gave all the information required to make an informed decision. 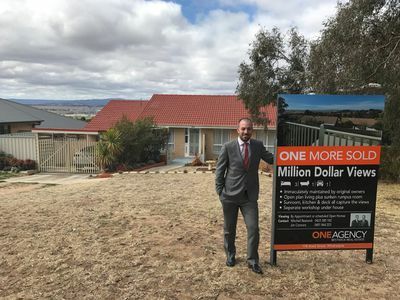 The One Agency team in Bathurst have hit on a very unique approach to real estate which will go from strength to strength. Keep up the great work! 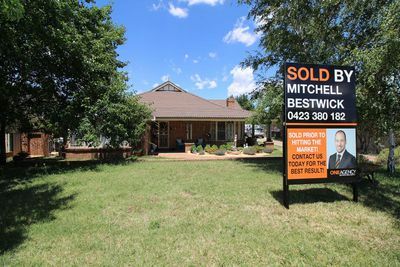 Trish and I were extremely happy with the service provided by Mitchell Bestwick in relation to the purchase of the above property (19 Sundown Drive, Kelso). 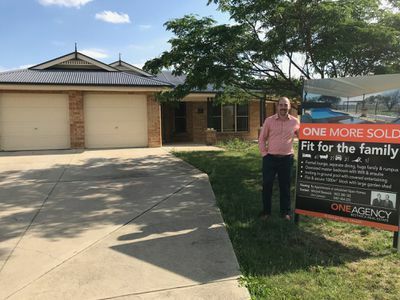 We contacted Mitchell at very short notice to inspect the property and he obliged and gave us a very thorough history of the property and a pressure free inspection - which ultimately led to us making an immediate offer and shortly after - a successful conclusion. We would highly recommend Mitchell to anyone as he has followed up promptly on every inquiry we have had during the course of our transaction. Our experience has been friendly and stress free with good communication and co-operation. 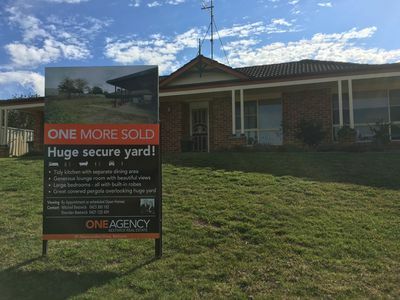 Property sold in one week. We have no hesitation in using One Agency again or recommending to others. Thank you. My experience working with One Agency Bestwick Real Estate was one of pleasure and delight. From the outset, their representatives listened to me and understood exactly what sort/style of house I was seeking. They willingly lead me through the process from offer to settlement. 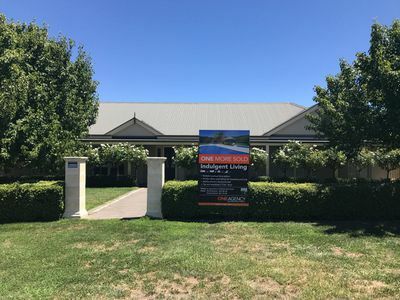 I would strongly recommend them to anybody wanting to purchase a property in the Bathurst region. Mitchell was great, polite, honest & reliable. Would highly recommend One Agency Bestwick Real Estate. We bought the property back in Nov 2016 and we had no idea how in depth purchasing our first home would be. Mitchell helped us through the process and was even able to recommend solicitors/conveyancers. He was a pleasure to deal with. Thank you so much. *Obviously very happy with the result as we sold the house in less than a week. *Very happy with the price we received. 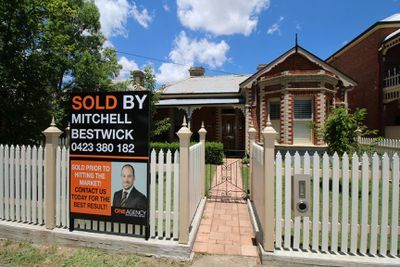 *Very happy with the advice provided by Mitchell & Sheridan Bestwick. *Found Mitchell & Sheridan to be very approachable, always answered our questions promptly. *The whole process from the initial meeting with Mitchell, to the exchange of contracts, and even after, ran very smoothly. 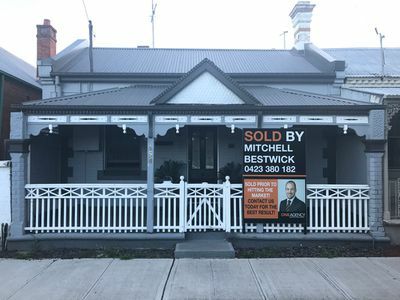 And when things started to go astray due to factors outside One Agency Bestwick Real Estate's control, Mitchell was able to negotiate with the building inspector or solicitor's to get things back on track. *Highly satisfied with Mitchell's photography and video. We were very pleased with the service provided by One Agency in the purchase of our new property. The agents were all helpful and friendly, turned up on time and gave us adequate time to view and inspect the property. Mitchell was fantastic to deal with, very helpful. 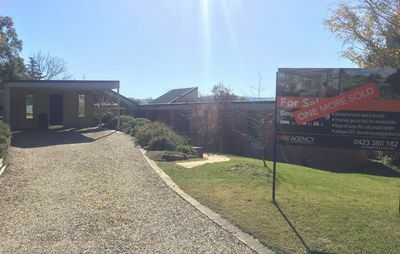 I would recommend Mitchell & Sheridan to anyone who is looking to sell. I liked you as a person Mitchell. You didn't push, you were honest/straight forward, you were yourself - not a salesman. If I had queries, you were quick to get back. Thanks. We were very happy with the work Mitchell did selling our house. Not only did he advise us when to sell and when not to sell, but he advised us of a price that was just right to ensure a timely sale. We didn't want someone to tell us we could get an exaggerated price for our house only to see it sit on the market for months on end. Nor did we want to undersell it. 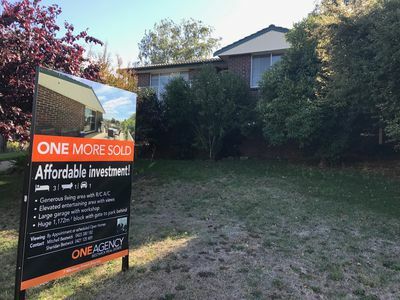 Mitchell marketed the house superbly on the internet and it had an offer by the end of the first week, which Mitchell negotiated to a contract by the end of the second week it was on the market. Totally recommend selling your house through Mitchell. Mitchell was fantastic throughout the whole process. Nothing was a problem, real service & professional advice. If you're looking for the "one" and the "best" in real estate services, look no further than One Agency Bestwick Real Estate. Dealing with Mitchell has been a memorable event for my wife and I. Once we decided to look at an investment for our future, we looked around contacting Mitchell in regards to the property we now own. He made it so easy for my wife and I to view the property separately due to our schedules and followed through clearly and consciously once our offer was accepted. A true professional manner and a can do attitude - exactly the type of person you want to be dealing with in one of life's biggest choices. We greatly appreciate all the hard work One Agency put into selling our house for more than we expected to get. Nothing was too much trouble. We needed inspection times to fit into our life and this was always able to happen. Mitchell Bestwick was always upbeat and positive and he got the job done and did so in quick time. We would recommend One Agency to anyone and everyone. Thank you. 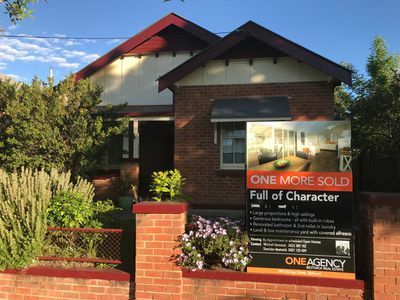 We have sold a number of properties through One Agency Bestwick Real Estate over the past 12 months. The professional and efficient manner with which Mr. Bestwick conducts business makes the experience a pleasure. 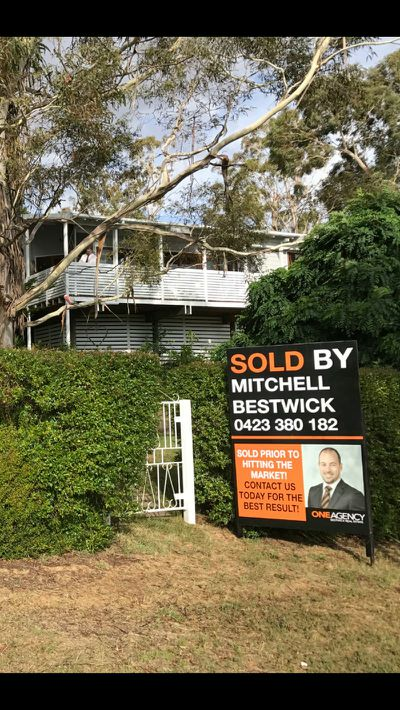 We have and will continue to recommend One Agency Bestwick Real Estate to all our peers when they are looking to sell their property. Thank you Mr. Bestwick and your staff - we wish you success. 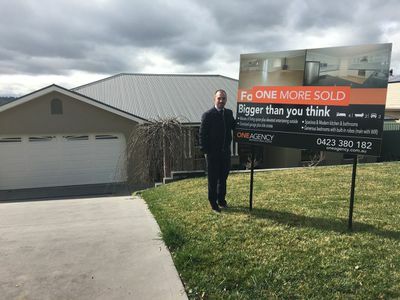 I cannot praise Mitchell and Sheridan from One Agency Bestwick Real Estate enough. This was my first ever property purchase and I had absolutely no idea what I was doing. Mitchell and Sheridan went above and beyond in every aspect of the purchase to ensure I was well informed and making the process go as smoothly as possible. I would not hesitate in using One Agency Bestwick Real Estate again and I highly recommend them to anyone wanting a hassle free, professional real estate agent. Thank you Mitchell and Sheridan, you have been amazing. We were relieved to hand our house over to you. 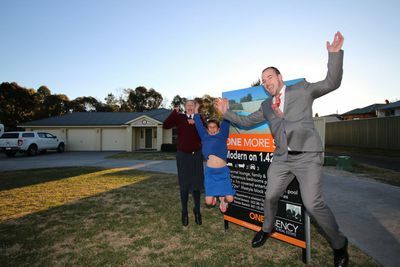 It was great to see your enthusiasm in getting our house seen with signage, adverts & open times, all quite quickly. Thank you for all of your effort. Definitely felt good about doing business with One Agency. 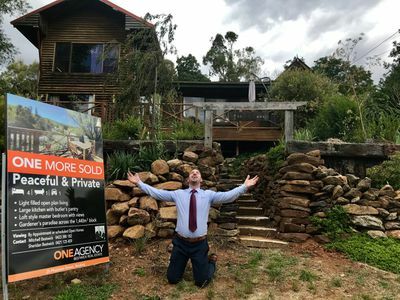 Mitch's passion for real estate is evident in the way he skillfully & efficiently marketed & sold our property, provided advice but also respected our wishes. P.S Big thanks also to the woman behind the scenes, Sheridan. 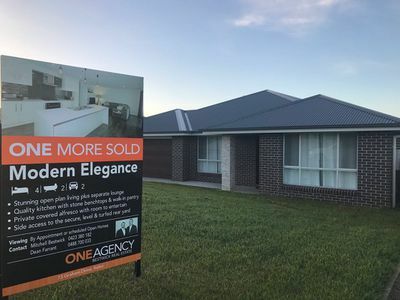 My wife and I recently sold our property at Peel. 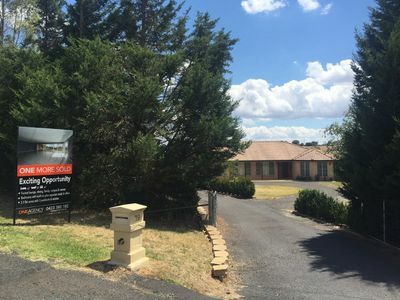 When it came time for us to choose an agent, we had noticed that One Agency Bestwick Real Estate had been selling several properties in relatively short time in the Bathurst area. After meeting Mitchell and Sheridan, I realised that they had some great ideas. After discussing the optional plans for our sale, we worked together to achieve an eventual quick sale. Very happy about our choice. 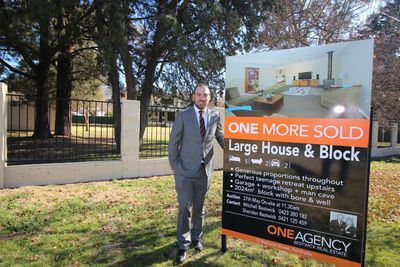 We highly recommend Mitchell Bestwick and One Agency. Mitchell provided a service which was very courteous and professional and his experience and knowledge in his field was obvious from the beginning. His appraisal of our property was well researched and proved a useful document for our reference. This quality of his advertising was excellent and the work he put in to ensure there was good publicity for Open Days is to be highly commended. At every step of the way, he kept us informed of the progress of the marketing of our property. Mitchell explained the process and the terms clearly at the beginning so we knew what to expect at every stage. There was no problem with contacting him, he was always available or returned our calls promptly. 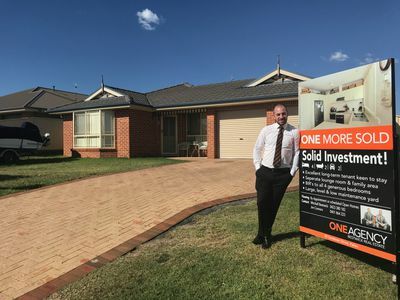 The quick sale of our home at close to what we were asking says a lot for Mitchell's persistence in following up on any interest shown and for his negotiating skills. We would like to thank him and Sheridan for the friendly and professional manner in which they marketed and sold our property. 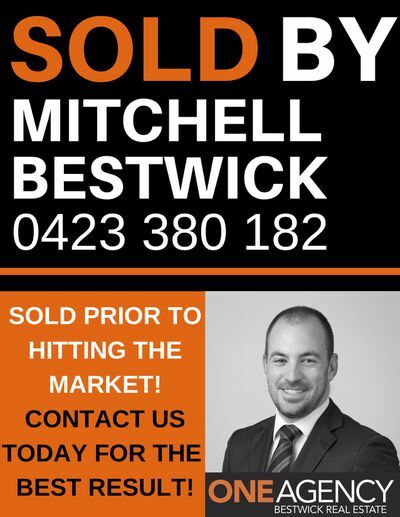 We highly recommend Mitchell Bestwick. From appraisal to settlement we were most impressed with his attention to detail and expertise during the whole process. 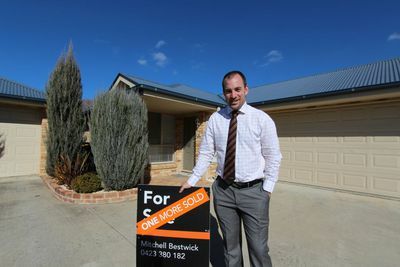 We would happily recommend Mitchell Bestwick One Agency to any prospective home buyer/seller. Thank you and every best wish for your success in the future. I found working with Mitchell to be a really positive experience. He was patient while I was making up my mind and sourcing finance, and his communications was great once the purchase was in process. Thanks for making this so very painless. First, we wanted to say it was a pleasure working with you. Thank you for all your time, valuable advice and local knowledge. We hope to work with you in the future. P.S Thanks for the Bunnings voucher - it will go towards our clothes line! Friendly & professional, made the whole process nice & easy. 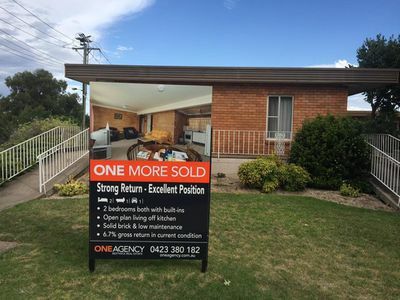 The property sold quite quickly and would highly recommend One Agency to others. 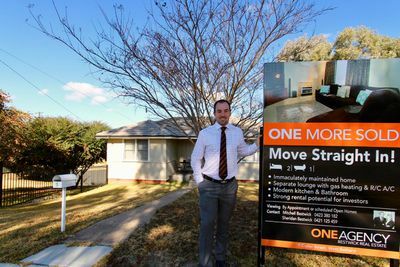 We had a great experience as first home buyers with Mitchell Bestwick. He offered information when we had questions and didn't make us feel uncomfortable in a fast process. 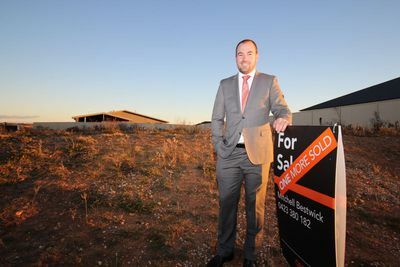 We would recommend his business to others and if we were to buy again, we would use One Agency Bestwick Real Estate. We can't recommend Mitchell Bestwick at One Agency highly enough! He was easy to deal with and very genuine. From our first meeting to our exchange yesterday, he kept us informed of what was happening. He got our first offer 2 days before our house even hit the market and a very pleasing price was agreed upon within the week! Thank you Mitchell. 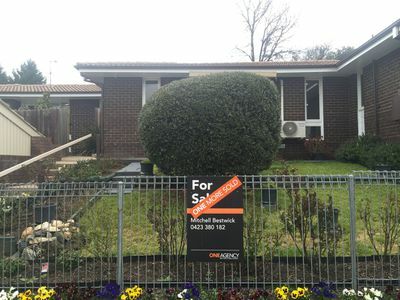 My experience with Mitchell through my property transaction was very smooth. All areas of the transaction were carried out in a professional manner. Mitchell was very helpful and friendly throughout the entire process.